The long-rumored contract Gus Malzahn has been working to finalize with Auburn has finally been signed, sealed and delivered, and it pays him a lot of money. The University of Auburn released details about what the new deal entails. “Auburn head coach Gus Malzahn will make $6.7 million in 2018 and that number will increase by $100,000 every season over the life of the new contract he signed with the university,” wrote Josh Vitale of AU Now. 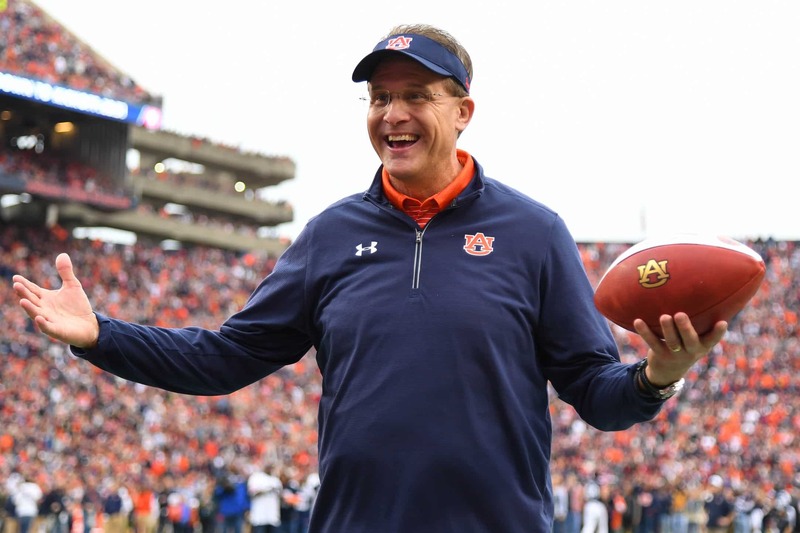 That figure of $6.7 million is pretty darn significant, because it makes Malzahn the fourth highest-paid coach in football, based on last year’s numbers. If Malzahn ends up being fired without cause, then Auburn will owe him 75 percent of whatever is left on the contract at that time. The Tigers have been in good hands with Malzahn at the helm. In five seasons, he’s complied a 45-22 record overall and 25-15 in the SEC. With a record of 10-4, Auburn finished the regular season with its first SEC East championship since Malzahn took over. Somehow, we’re betting Ohio State’s athletic director is fuming about this.